The Spey Stoat Xs Turbo has a cone that uses simple physic laws to make your Spey Stoat swim better than anything you have ever seen. The cone divides the water and creates turbulence that will make your fly move and look alive. The fly creates its own little turbulent stream where the materials in the fly can move even in the slowest or strongest current. If you believe in a moving lively fly this must be your choice. The X small size discs are for any angler and will fish in medium to low water conditions. X small 6 mm disc. 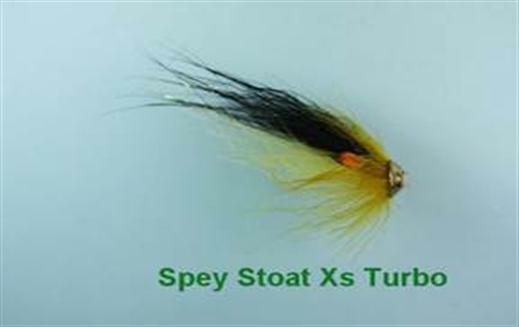 Currently there are no comments about the Spey Stoat Xs Turbo fly pattern from other fly fishermen yet.